Spring is officially here and as the temperatures go up towards Summer, the makeup items I grab for change. Liquid foundations that suffocate my skin? No, thank you! What about the other kid on the block? Mineral foundations, made with, yes you've got that right, minerals! Minerals have antibacterial and anti-inflammatory characteristics and protect your skin rather than doing it harm. They are also perfect for sensitive skin. 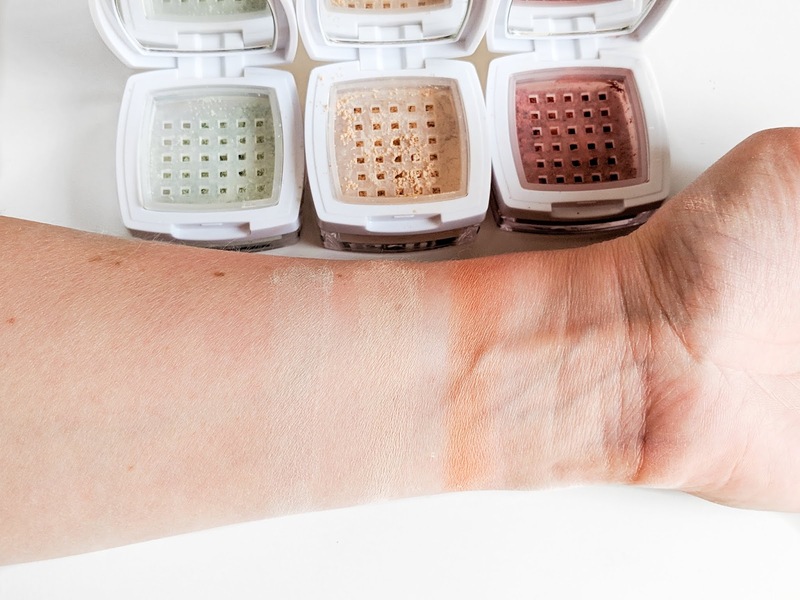 The English Mineral Makeup Company has come up with colour correctors, foundations and blushes, but will they do the trick? Let's have a look. The English Mineral Makeup Company is a UK based company and started with the ideas of mother and daughter duo Jeanette and Grace Burrows. 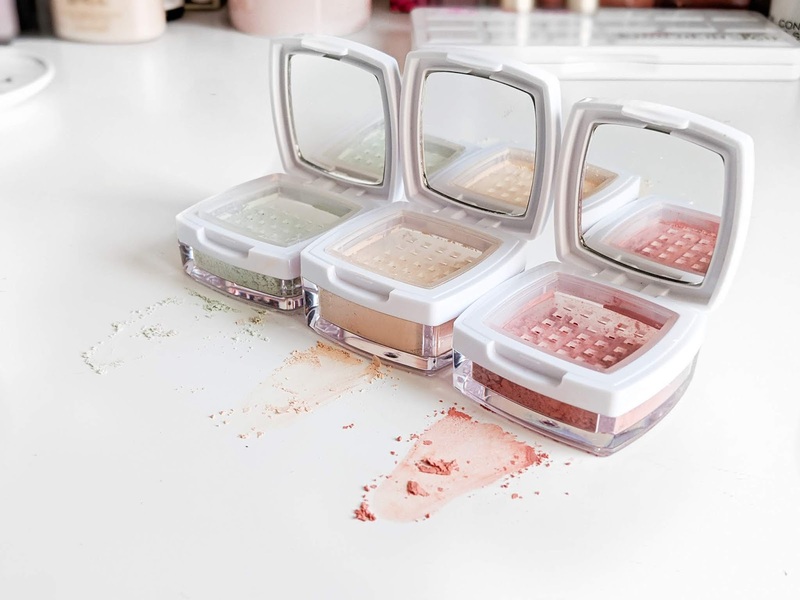 Founded on the idea that you and your skin deserve the best, the English Mineral Makeup Company combines luxury cosmetics with high quality minerals, creating products that are 100% natural, non-irritating, cruelty free and vegan friendly. What I love in particular is that Jeanette and Grace wanted to create products good enough to soften fine lines on more mature skin, as well as being gentle enough on younger skin. Also offering enough coverage for age spots and rosacea, and being durable without having to cake it on. 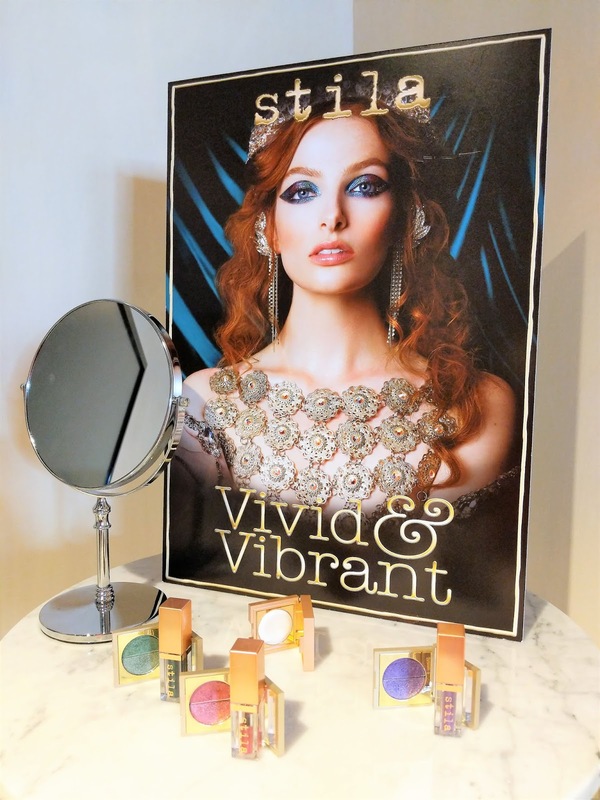 The English Mineral Makeup Company offers a range of products such as primers and veils, colour correctors, foundations, blushes and vegan mascara. • Tone Corrector in Green (£22 / 5g) to cover redness. The tone correctors come in 7 different shades. • Foundation in Cool Light (£37 / 10g). The mineral foundation comes in 27 shades. In addition the Ultimate range offers a further 5 shades created to meet the under and over tones of darker skin. • Blush in Rose (£25 / 5g). 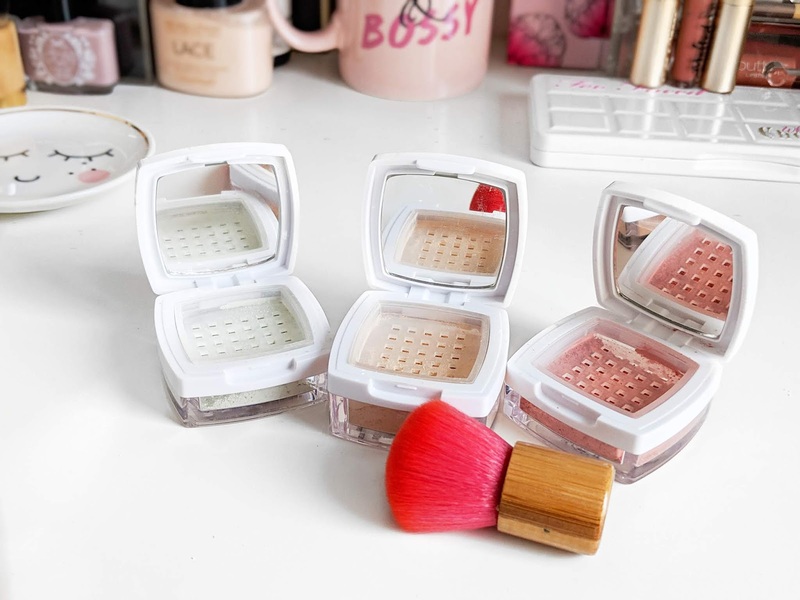 The blushes are available in 8 shades that have a matte, satin or glow and glimmer finish. All products come in stackable boxes and the foundation comes with a cute and very useful Kabuki brush. The lid of the box lifts up and has a mirror inside. How do the products perform? The first thing I notice is that all three products are super finely milled and feel very soft to the touch. As with all loose powders, there is some spillage, but if you don't take too much product on the brush at a time, it's actually not too bad. The tone corrector is not too green and when applying I definitely notice a reduction in redness. The corrector can be nicely buffed into the skin and I find that it is slightly buildable without looking caked. If you are afraid that the corrector will move when applying mineral foundation afterwards, I find that it helps to dampen the brush when applying the corrector to set it in place. Another great tip I found on the company website, is to mix the corrector with a small amount of moisturiser to turn it into a liquid corrector. The blush is packed with pigment. One thing I do notice though is that although the shade Rose looks pink in the packaging and on the brush, it is actually more orange/coral than expected when applied. It blends beautifully with the foundation but I would definitely say less is more. You can always add more as it is buildable. The blush has a beautiful natural looking, satin finish. 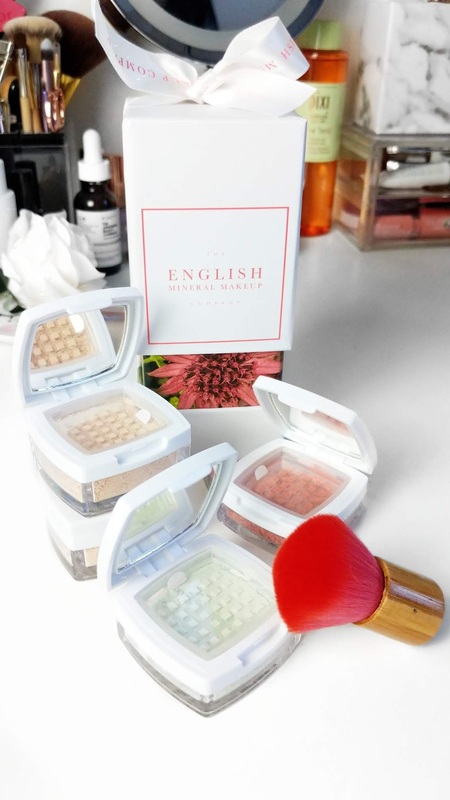 I am very impressed with the quality of the products of the English Mineral Makeup Company. I love that the products are made using only natural ingredients and what is necessary, rather than having a super long list of ingredients. The corrector, foundation and blush are all a dream to work with, apply easily, are super soft and are buildable, offering light to medium coverage. If I had to metion one point of critique, it would be the packaging. Although I love the idea of the packaging with its flip-up lid with mirror inside, I personally prefer a screw-on lid in which I can deposit some of the product to swirl my brush in. The packaging come with a sponge covering the opening, and that's definitely needed, because I find that without the sponge there is spillage, making the packaging less travel friendly. This is only a small point and something that could easily be improved. 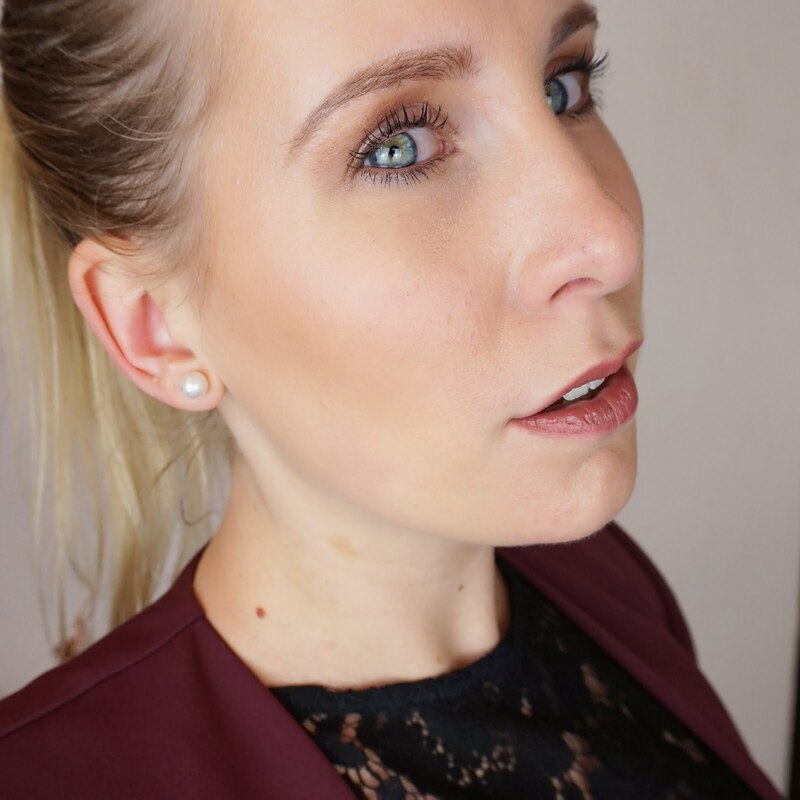 Ultimately what's important is the product which I would say definitely delivers what it promises and is in my opinion perfect for the warmer months of the year, when I prefer lightweight products that still provide decent coverage. I would absolutely recommend the English Mineral Makeup Company and will be adding these products to my summer makeup routine. 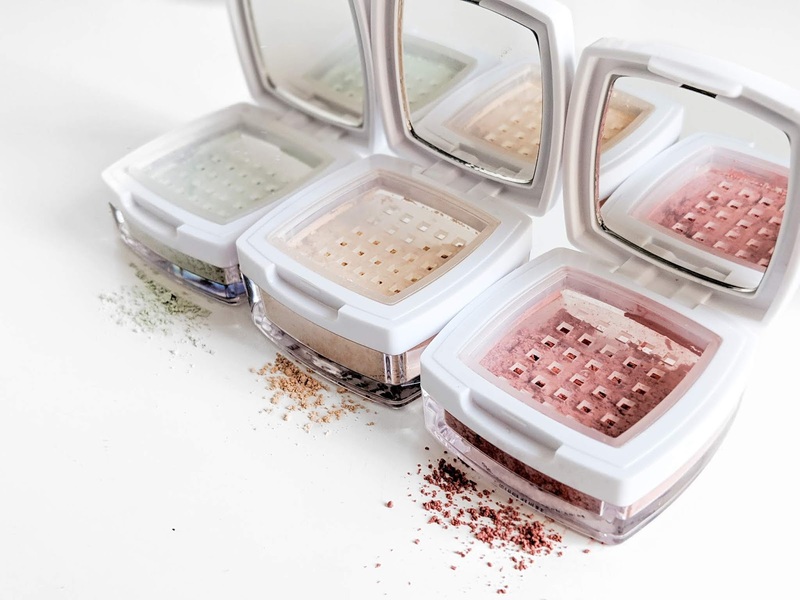 Are you a fan of mineral makeup? I would love to hear your thoughts!